Below is our membership form. Please click the form to open a PDF version for printing. 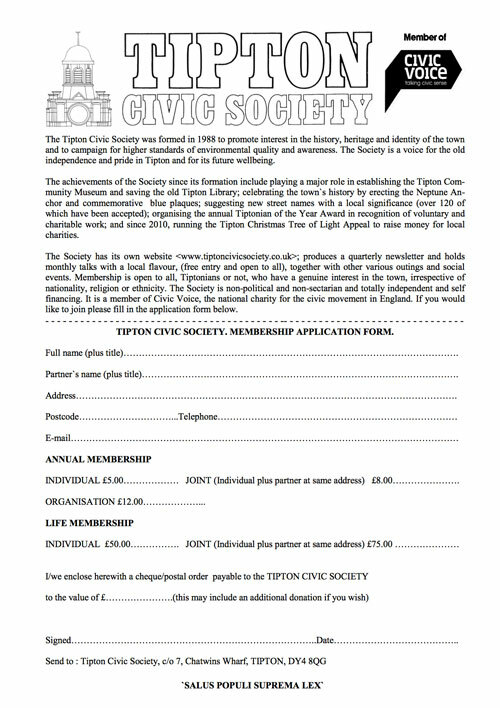 Tipton Civic Society, c/o 7, Chatwins Wharf, TIPTON, DY4 8QG.